Discussion in 'Tank Journals' started by sfsuphysics, Apr 5, 2019. Now that the tanks are full of water, with fish in them, I thought I'd start a new thread that is only based on the pretty stuff without having to go through 13+ pages just to see a picture of 2 fish. 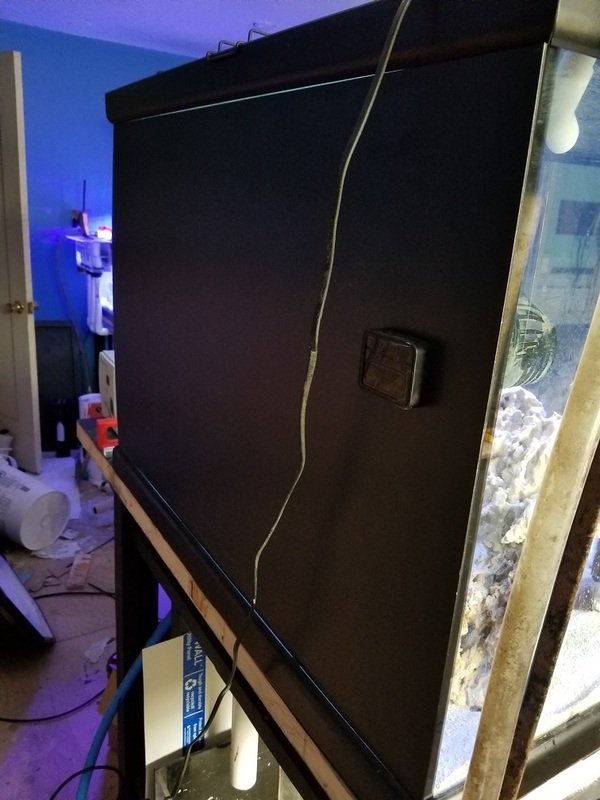 The build is by no means complete, now that everything is moved over (minus a bunch of rhodactis mushrooms and a foxface) I can now focus on finishing the "outside of the tank" build. I pushed the move date because I really don't want that 300G tub on the floor. Sometime in the future I'll write up a synopsis of my journey over the past 20 or so years in this hobby, unfortunately it'll be in essay form because the photos for most of those are long since lost as "free" photo hosting sites come and go, and well I've gone through a few different computers in the past 20 years. But not today, today is about a new phase in my life, without going into too many details I'm now getting to a point where I'm starting to be in charge of taking care of 2 full grown adults as well as my 3 year old child. So for now I just want to think of the possibilities of what this tank can become. 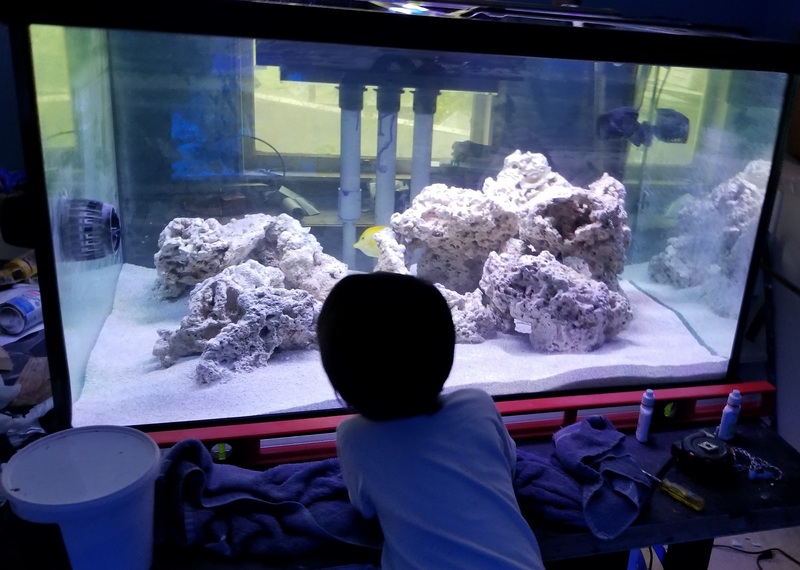 While I'm not going to lie, this is for me to try and get back to the my glory days of having a full coral reef, this is really the motivation of why I want this to happen. Telling me how many fish he sees. 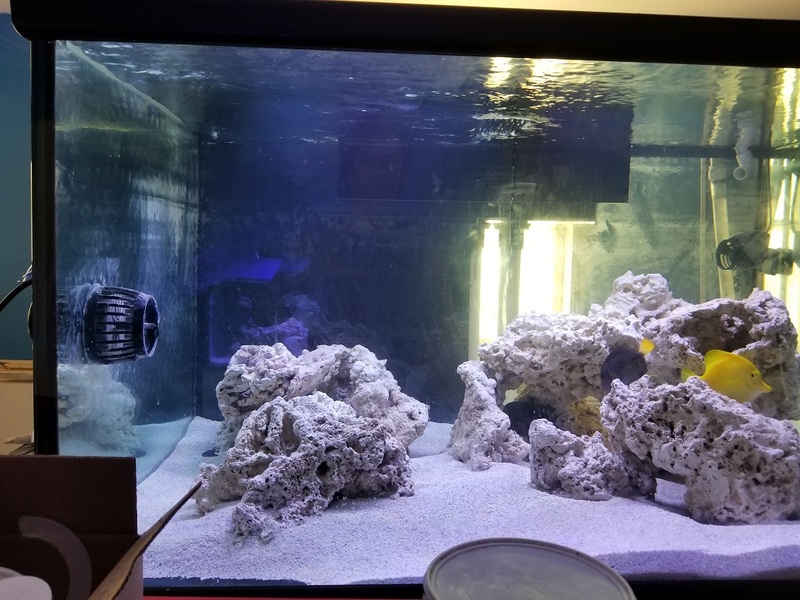 Still need to move pumps around, I'm thinking the Vortech in the back corner and the Rossmont in other corner but pointing diagonally across the tank, it really pushes a lot of water in a relatively tight stream. Also need to clean the dust off the glass too, I mean that front panel is low iron, so I should enjoy crystal clear views... but need to be careful with the sand there . 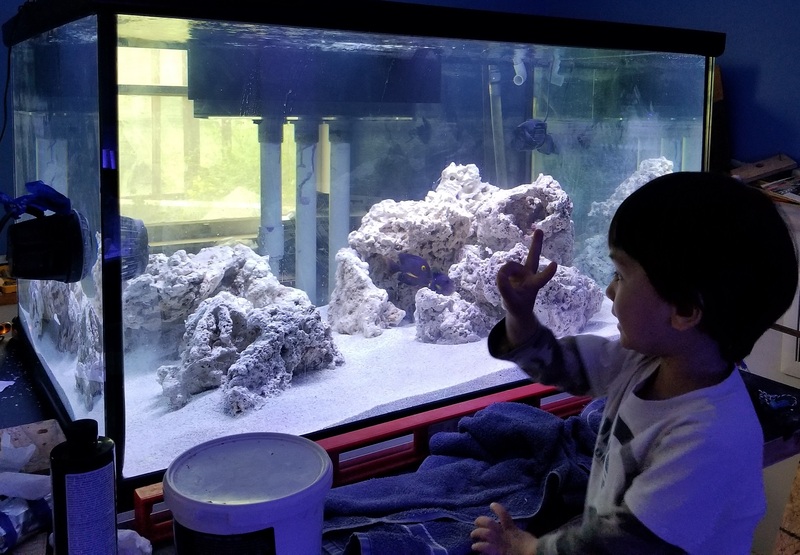 As he says "hi yeyo feeshy"
There are currently 3 fish in the tank, my 3 tangs, purple, yellow and kole, which are the big fish that will be in the tank, other (smaller) fish will come later. It is kind of funny, me standing there in front of the tank and the fish more than happily come out, kiddo 1/10th my size leans on the counter top in front of the tank and they get skittish... kind of like my cats, 3 years he's been around they've been MIA when he's up and moving, me sitting on the couch after he goes to bed and next thing I know I'm in a kitty pile. You can also see the 40 in the reflection. 1 anemone that is staying in the tank, 1 tiny rescue one I didn't notice that I'm trying to beef back up, the basket in the corner is temporary (with the other anemones to re-home), and a few of the aforementioned rhodactis in the tank. AND I need to figure out how to white balance on my phone, or fish out and old copy of photoshop I have laying around somewhere... maybe. Because it actually looks kind of nice white, but this picture really oversaturates the blues and violets. MolaMola, Ashalye, glee and 3 others like this. 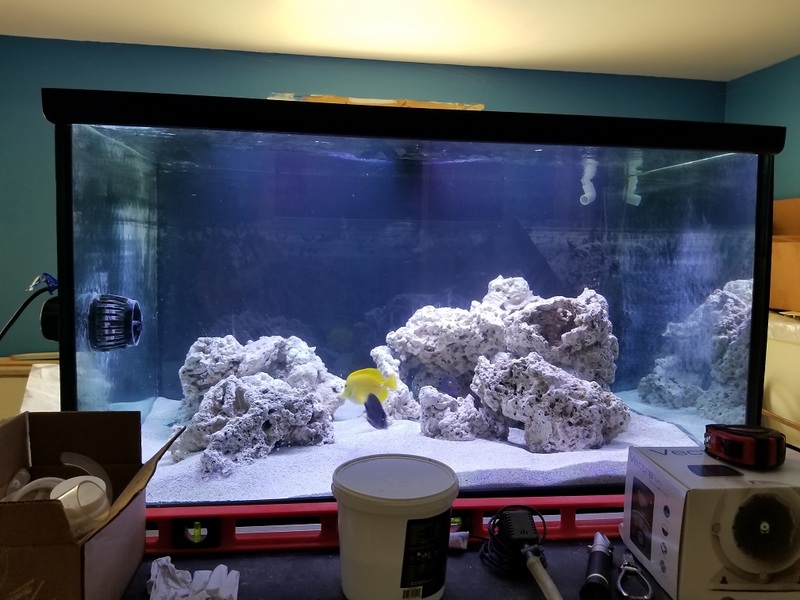 Water, rock, fish ... you will be done in only a couple more days. I think you need a background though. Stick on some black vinyl maybe. That bright window behind the tank makes it easy to see the ugly overflow pipes. Yup black background definitely is on the checklist, for the window, the plumbing (including that place where the primer really dripped far on me with the middle pipe ). I have a big pond liner than I'm going to be putting down over the flooring there I was thinking of using that, at least as a temporary measure. Ideally I'd like something that is easy to remove if I had to see something hidden behind the rocks or something something like black acrylic I can find cheap stuff online it's just shipping which always kills that idea Or I could go to Tap and get foam PVC cut to size, an 1/8" piece won't cost more than $20 and might be the perfect option. Going to classify this as "pretty" so these go here. Went over to Tap Plastics got some foamed PVC sheets cut to fit. And boy do they fit, they don't even need to be held in by anything. Love the stuff, it has some rigidity to it (1/8" pieces) was relatively inexpensive, $33 for 3 pieces, and I can pull it off really easily (the reason the back is 2 pieces) if I ever need to see behind it. Only downside I can think of is if I put any sort of magnet mount on it (as shown in the first picture) then in order for me to remove it I need to remove the pump too which for most pumps isn't an issue, but putting the MP60 back there might be problematic. that’s a cool ideal to use black abs or pvc sheets for background. I’ll have to remember that one. Great progress on the tanks. Yeah I really wanted something rigid that I could remove because I can access the tank from the back so being able to see there is important. Those vinyl sheets sure could be fine, but the foamed PVC sheet is super light weight, easy enough to cut with a utility knife if need be, and is cheap enough for my tastes, basically got 2- 2'x'2' pieces and 1-2'x3' most other rigid material is quite a bit pricier. Plus if you need to put holes in it or something, expanded pvc is really easy to machine, much less inclined to shatter or make a melty mess than acrylic. Never heard of foamed pvc. Cool! 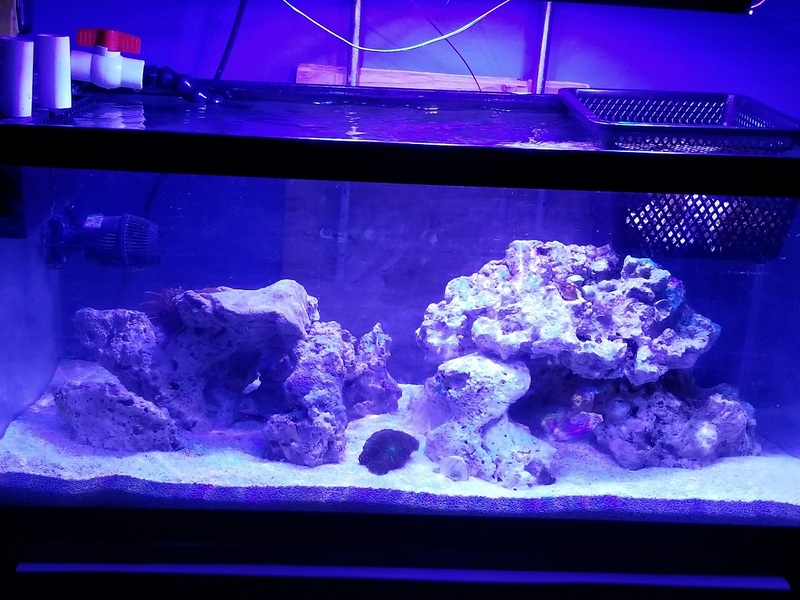 Yeah I'm tempted to cut a circle out for the MP60 that I plan on putting on the opposite side as shown in the pictures, my only concern is that I might not be happy with the placement or later on as corals grow need to move it. I mean I can keep the circle cut out and use black electrical tape to put it back on, but I think at least initially just put it outside the black stuff, only increases the magnet separation to 5/8" but I think that pushes me into the next spacer and need to find where those are, I know I have them just need to find them. are those the same as what kids uses for 3 panel science projects board?? Most people probably use foamcore for science projects boards. Foamcore has a paper face on the front and back that probably isn't a great choice for a tank. I suspect the inside is the same. I think they one you're talking about is polystyrene, and as mentioned paper face, that said I don't see why it would be bad for this application. I mean it's outside the tank not in. If I think if the big worry is water that is easily testable to see if it holds up or not.